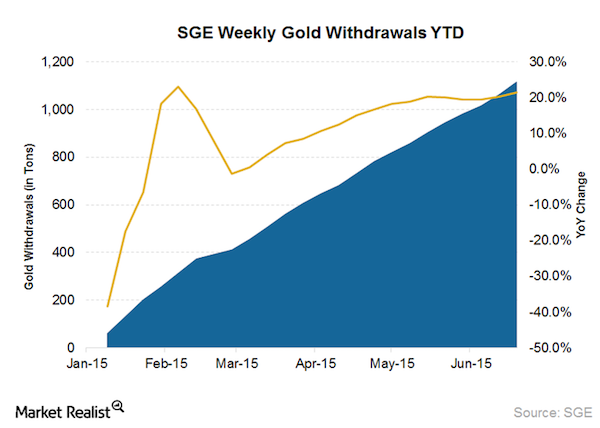 What Does it mean for the future of the gold market? At present, up to 12 trillion yuan stays in domestic residents' saving accounts. The launch of individual gold investment, therefore, will allow residents to change currency assets into gold assets. At the macro level, it will expand channels for changing savings into investment, thus adjusting the money supply; in the micro aspect, allowing citizens to trade and keep gold can improve social welfare, benefiting both the country and the population. Moreover, with the dual attributes of common commodity and currency commodity, gold is a desirable instrument for hedging. 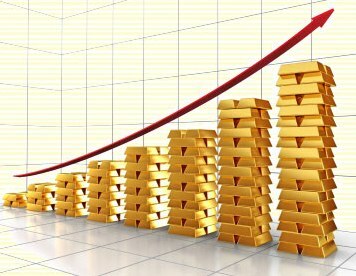 Therefore, developing gold trade for individuals is practical." – Zhou Xiaochuan, Governor, the People's Bank of China. Ever since 2011 when China's demand began to ratchet up, clients have asked how the price of gold could be stagnant to down under the circumstances. The short answer to that question is that price discovery for gold does not occur in the physical market, but in the multi-trillion dollar leveraged paper trade in London and New York – a volume that dwarfs the physical delivery market. Now China is about to challenge that price discovery mechanism through significant infrastructure changes slated to take effect by the end of the year. This new construct has as its base China's fundamental understanding and goals with respect to gold as summarized by Peoples Bank of China governor Zhou Xiaochuan in our masthead quote above; its affinity for delivered physical ownership, as opposed to paper-based metal; and, the official measures it has undertaken to make inroads into the international gold market's price discovery mechanism. To gain a better understanding of how China is likely to affect price discovery in the gold market, let's start with something of interest that surfaced as a result of the recent Shanghai crash. Financial Times reported rumors floating the markets that Goldman Sachs was responsible for manipulating stocks downward. Officials denied those rumors and a spokesman for the exchange stated that "foreign investors with access to the futures market via theQualified Foreign Institutional Investor (QFII) program were only permitted to use futures for hedging operations and are not allowed to make directional bets. All recent trades by QFIIs complied with regulations." Of course if any manipulation of stocks were to occur, it would be executed in the leveraged futures market where bets can be placed at pennies on the dollar. Up until I read that quote I was unaware of the strict procedures governing foreign trading on the Shanghai Futures Exchange (SHFE), China's only futures trading venue. A further investigation, helped along with some links from Koos Jansen, the Netherlands based expert on China's burgeoning gold market, revealed stringent rules governing trade on the SHFE for domestic participants as well, though not quite as stringent as the rules for foreigners. At the heart of those rules, SHFE imposes strict position limitations and margin requirements on traders in order to keep price speculation (or directional bets to use its term) to a minimum. Futures trading in China, clearly is meant to serve as an adjunct to the physical market instead of the other way around as it is in western gold trading centers. Hedging is maximized. Speculation is minimized. Leverage is controlled within reasonable parameters. Link SHFE "Operational Manual for Gold Futures Contract Trading"